"During the darkness of the Romulan War, when the prospect of prolonged hostility seemed only too real, Star Fleet Command ordered this battle cruiser prototype built and feasibility tested, However the ship proved tremendously unwieldy and never entered active service. Its failure to perform to specification was a major reason why both the Horizon and Marshall classes enjoyed such an extended commissioned life." 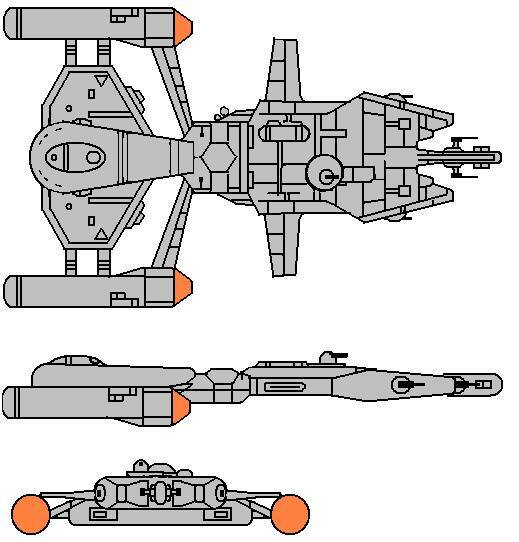 The 2168 Battle Cruiser program was intended to produce a new generation ship to replace the aging Romulan war era vessels. Although the design was in principle excellent experience in testing showed that the ship was chronically underpowered. Additionally the cost of the ship was deemed to be prohibitive and the design was cancelled.